XWEM is an attempt to built ideal desktop. 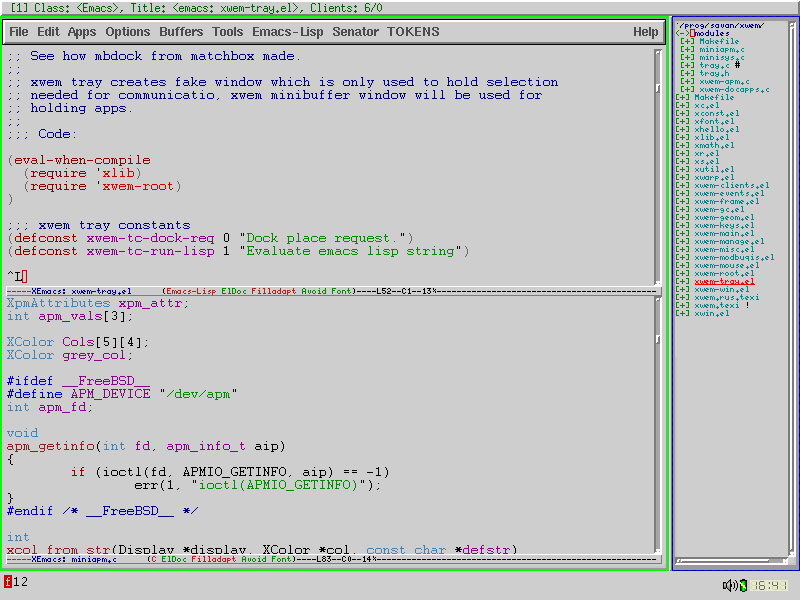 It is not a secret that Emacs is most powerfull environ one has used, but it leaks some real integration to desktop because it can't have control over every thing. XWEM will try to break this barrier. Window exepectances - XWEM's window can wait for certain client to manage it. Embedded frames - Frame can be handled as client. SBS Splits - Another way to create frames. Freams linkaging - You may create group of frames. KBD macros recording/playing - Make your work efficiently. Requests sequencing (xlib) - Now you know for which request event or error arrived.